Even though it’s been sold for more than a hundred years, I never heard of Fels-Naptha bar soap until I started making my own laundry detergent four years ago. 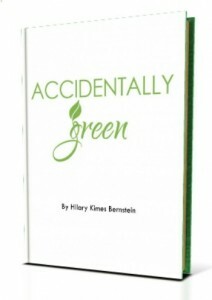 I bought a case of the soap and loved smelling the fragrance – both when I made the soap and then when I used it when washing clothes. I never gave a second thought about its safety, though – until I noticed an article on Livestrong.com. One potential conflict is that naptha is a petroleum-derived solvent. Fels-Naptha does contain titanium dioxide – Livestrong.com states that the mineral contaminates oceans and lakes, yet the U.S. Food and Drug Administration deems it safe for food and cosmetics and personal care products like sunscreen and toothpaste. While I view Fels-Naptha as a trickier judgment call than Murphy Oil Soap, I still think it’s safe enough for my family to use. There’s one big problem, though. Because of this – and the fact that my husband and I are just trying to figure out life with our brand new aerobic treatment septic system – I’m choosing not to use Fels-Naptha as an ingredient in my laundry detergent. For me, this is a huge bummer. If I could use it, I would. But I don’t want to take a chance at botching up our septic all because of my homemade laundry detergent. I love using the Duggars recipe, Fels Naptha, Arm and Hammer soap, and Borax! It is NOT “the Duggars recipe”. This recipe has been used for laundry for almost 100 years. Hey guys. I have used this for years. As did my grandmother who would be 106 if she were still with us. I loved the scent of grandma’s. It fell out of favor cause it wasn’t convenient or modern. Glad a new generation has found out how well it works. I also use that recipe for soap but never thought about Fels Naptha being bad for us. The Ivory soap is a good alternative. Do you think I could use my homemade goat’s milk soap? Hil, I’ve always used Ivory in my homemade laundry soap. :) Also, check your toilet paper brands… we have a septic system and use a type of Scott tissue that is better for septic systems. This advice came from the company that installed our system 8 years ago. Certain brands – mainly some of the softer, puffier ones – aren’t great for septic. You are so awesome at your researching! I have used fels naphtha and have a septic system. It is going on 2 years and no ill effects for doing my own laundry soap. I have been on a septic system all my life and we have never had a problem with any type of soap clogging it up. As for toilet paper, I was taught to throw it in the trash, not flush it down the toilet. I haven’t made my own yet — hoping to win this to try it out! thanks for the chance! 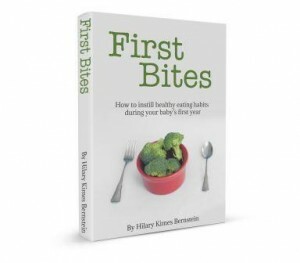 People have been using that same recipe for years and years. 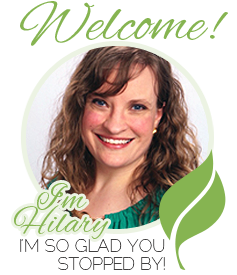 Hilary…I agree with you on this. I did a series in March on Non Toxic Cleaning. It was a 6 part series but I’m leaving the link to part 6 that has the recipes. I think you’ll find Borax an interesting product as well. Thanks for this. Your timing is perfect. Was just about to make my first batch homemade laundry soap, but we have a septic system. Nuts. Visiting from Women Living Well. Oh no! I tried making a new recipe (and wrote about it here: but didn’t like it nearly as much as my Fels recipe. I did hear about a reader substituting castile soap for the Fels-Naptha, and I know that castile soap is OK for septics. I guess I have something new to try today. I used both Fels Naptha & Ivory bar soap in my detergent, and had no problems with the septic in the 3.5 years we were there. And I did a LOT of laundry each week: No paper towels, my other paper reducing products, lots of family coming & going, a hubby who works in the wastewater treatment industry, and 2 dogs + 2 cats in the house. Has anyone tried making a homemade laundry detergent using Zote bar soap in place of Fels Naptha? I don’t know if it’s safer for septic tanks. I have a septic and would like to know as well. Zote is available at Walmart and is made with coconut oil and tallow, containing optical brighteners. Don’t know if it includes other ingredients that might be harmful to the septic. I prefer Kirks Castile soap, for my hair, and as our bath soap. For detergent and hand soap I prefer Bonners Magic Soaps. I also use Kirks Castile soap and Dr. Bonner’s soaps. The only other soap I buy is occasional bars of locally made soaps. I’ve been using the Fels-Naptha for a long time and also do a ton of laundry! Has never harmed my septic system yet. I’ve been interested in trying the Ivory for the smell, but didn’t know how it cleaned compared to what I was using. I have been using the recipe from homemadelaundrysoap.net, but my cousin had to stop using it because she found out her boys were allergic to something in the fels naphtha soap that irritated their skin. Fels Naptha made me itchy. I’m unsure why, but suspect it may be the lye as some people react to that. I switched to soap nuts & love them. I have a recipe for laundry bombs that consist of washing soda, borax, Epsom salt, peroxide, and Young Living Thieves Essential Oils cleaner (or vinegar). There is truly no need for the Fels-Naptha or anything with fake fragrance. My hubby likes them because he doesn’t have to mix or measure, just throw in one for a small load, two for a large load. These sound fantastic, Mary Jane! Would you mind sharing your recipe? If the fatty acids were a problem, then us showering, washing dishes, and everyday kitchen use (ie pouring those remaining drops or TBS of olive oil down the sink when baking) would cause problems. Yearly septic maintenance and enzymes treatments will help with the fatty acid breakdown. 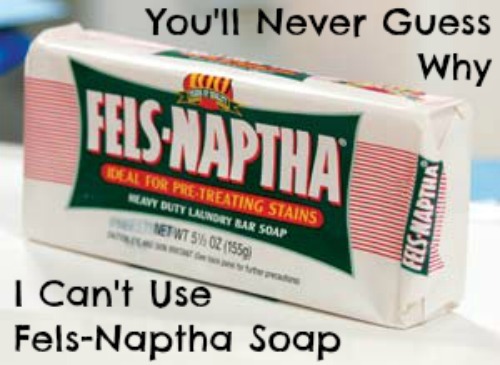 Fels-Naptha should be just as good for a septic system as much as any other bar soap. However, I don’t use a real (bar or castille) soap in my laundry anymore, because it leaves behind soap scum on my clothes. I had graying, smelling, and mildew problems, and I have soft water. One wash with a commercial detergent and the problems were fixed! Now I’m experimenting with dish soap. It’s not a real soap, it’s a detergent and rinses clean. You don’t want or need to use more than 1 Tbsp per load. My cloth diapers have never been cleaner! However, a real detergent might be more of an issue with a septic system. I’ve been on a septic system for years and have never had a problem with Fels Naptha Laundry detergent. 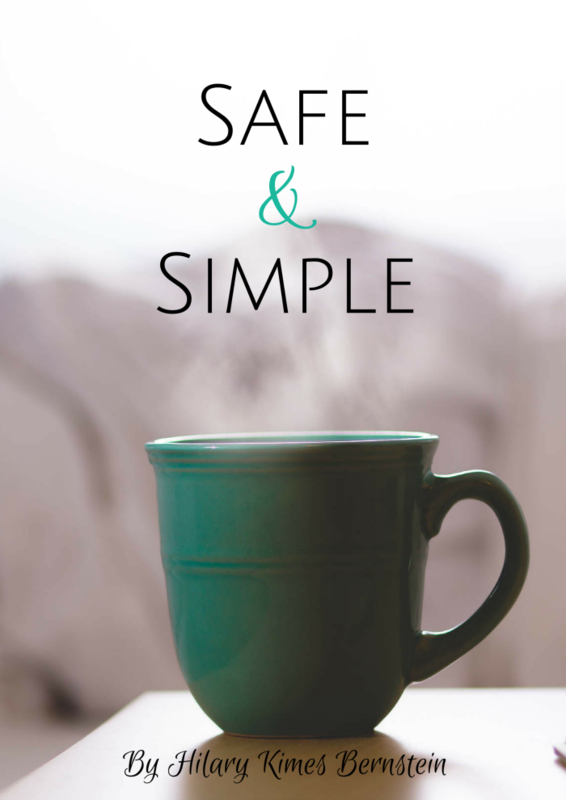 An easy way to help keep your septic system healthy is to pour yeast (yep the kind you get at the grocery store for baking) or spoiled milk down the drain or flushed down the toilet. This info came from 2 plumbers. I LOVE this tip, Kat! I’ll start flushing yeast down the drain to help our septic!